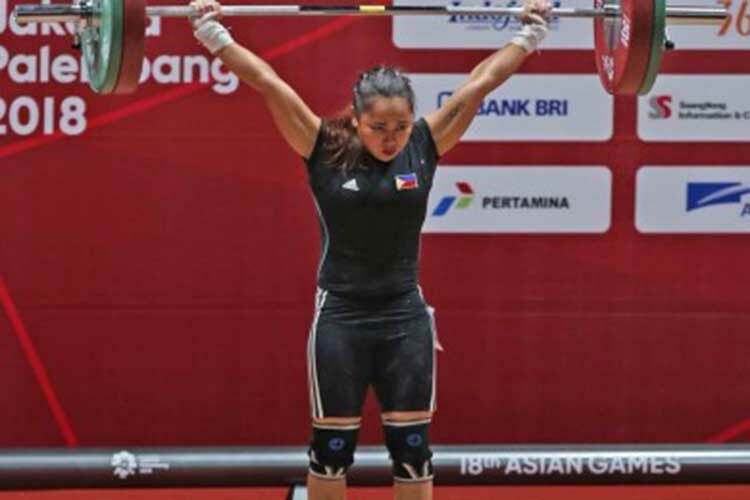 JAKARTA — The Philippines captured its first gold medal in the 18th Asian Games, courtesy of weightlifter Hidilyn Diaz in the women’s 53kg category, on Tuesday night. Diaz, a silver medalist in the 2016 Olympic Games in Brazil, topped the event with a total lift of 207kg. Turkmenistan’s Kristina Shermetova lifted 206kg to win the silver medal while Thailand’s Surodchana Khambao clinched the bronze with a total lift of 201kg. Ma. Dessa delos Santos placed eighth among 12 entries with a total lift of 180kg. Meanwhile, Nathaniel Perez lost to Hong Kong’s Nicholas Edward Choi, 6-15, in the men’s foil individual round-of-16 in the fencing competitions at the Jakarta Convention Center. Perez, who defeated Indonesia’s Mohammad Zulfikar, 15-10, in the round-of-32, has a 2-2 win-loss record in the Pool A preliminaries. He won over Thailand’s Chornasun Mayakarn (5-3) and Indonesia’s Dennis Ariadinata (6-2) but lost to Hong Kong’s Cheung Ka Long (3-5) and Vietnam’s Nguyen Minh Quang (5-0). Brennan Wayne Louie, on the other hand, took an early exit when he bowed to Chen Chihchieh, 13-15, in the round-of-32. In the Pool B preliminaries, Louie won over Chihchieh (5-4), Thailand’s Sitsadipat Doungpatra (5-1) and Singapore’s Kevin Jerrold Chan (5-1). However, he lost to China’s Ma Jianfei (2-5) and South Korea’s Ha Taegyu (3-5). In the women’s individual epee event, Hanniel Abella failed to advance to the round-of-32 after posting a loss in the Pool C preliminaries. Abella beat Kazakhstan’s Ulyana Balaganskaya (5-4) but lost to South Korea’s Choi Injeong (4-5), India’s Jyotika Dutta (1-5), Lebanon’s Dominique Nicole Tannous (3-5) and Mongolia’s Gerelmaa Baatarchuluun (1-5).